Marco Lo Russo aka ROUGE was born in 1977. International concert artist, performer, accordionist, composer, arranger, conductor, musicologist, artistic producer of Rouge Sound Production (label and recording studio), musicologist and professor in several Conservatory of Music in Italy and abroad, is considered, at internationally level, one of the most representative contemporary Italian musicians of the new generation. 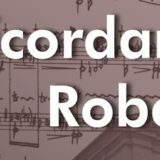 He is an extremely eclectic artistic figure and he is appreciated by critics and artists like, e.g., Ennio Morricone, Leo Brouwer, Nicola Piovani, Piera Degli Esposti, Lina Sastri, Giorgio Albertazzi, Pupi Avati and many others. Marco Lo Russo has been listed in the Yearbook of Italian Cinema for his compositions and music productions for TV, theatre, classical music for soloists, songs and scores of contemporary music and for the intense concert international activity. Nevertheless, he is considered an outsider artist for his professional experience, sensitivity, talent and inspirational character. 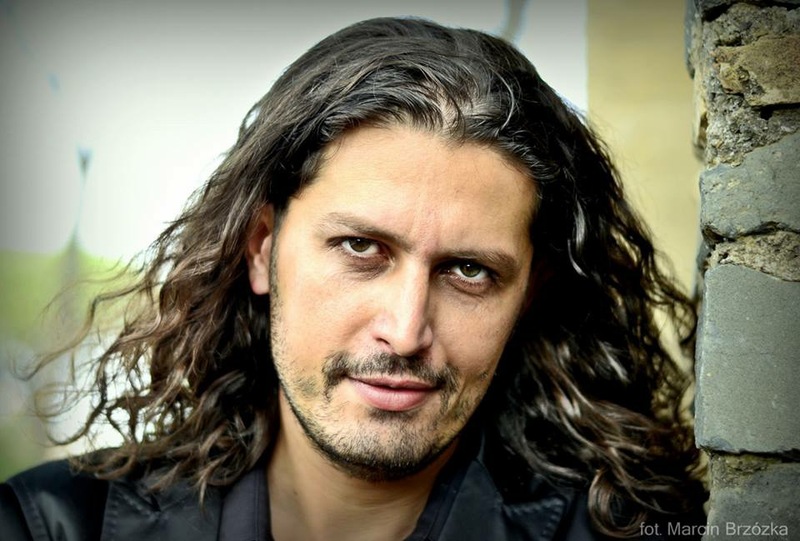 Marco Lo Russo is an extremely eclectic artist who loves Mediterranean and contemporary sounds and whose interests range from classical repertory to Argentine tango and to jazz and electronic contaminations. 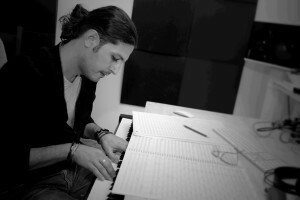 In addition to the degrees in accordion, composition, arranging and orchestrating, orchestral conducting masterclasses, master’s degree in conservatories of music at Pesaro, Bologna, Milan and Rome and various certifications, including Apple, in computer music, Marco Lo Russo graduated in DAMS (Drama, Art and Music studies) at University of Bologna, Italy. 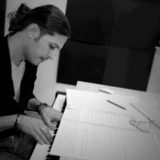 Besides teaching accordion, composition and arrangement techniques, computer music, theory, rhythmic, musical perceptions and sung reading, he holds seminars, conferences, and lectures in master classes in several institutions, foundations and universities in Italy and abroad. Marco Lo Russo is a professor in the Conservatory of Music Domenico Cimarosa in Avellino, Italy, president of the Marco Lo Russo Music Center Association in Sermoneta, Italy, and the executive producer of the Rouge Sound Production with whom he produced, co-produced and collaborated at several international music productions like for the Sanremo Italian Song Festival, the Eurovision Song Contest, Cinema, Theatre and Television. 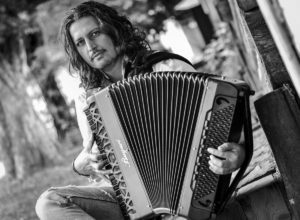 Like accordion soloist Marco Lo Russo participated in many international events and live concerts such as in the Theatre of Opera in Rome and Jazz Foundation of America in New York, USA, just to mention a few of them, and he is considered as Italian culture ambassador abroad. For many years he has worked with large number of famous artists, including Nicola Piovani, the Oscar winner for the soundtrack of Life is beautiful by and with Roberto Benigni. Marco Lo Russo had the honor to perform at the presence of Pope Benedict XVI, Pope Francis, for the Exposition of Holy Shroud from Turin Cathedral, Italy and in other occasions in television on air in broadcast for RAI, RAI Vatican, SKY, TV2000 and for other radio and media TV broadcast on air in worldwide. Marco Lo Russo was the music director of TV programs broadcast on air in worldwide The Betrothed of Italy (I Promessi Sposi d’Italia for TV – Rai History and Rai International). He performed for over 200 live shows on TV for the program 42.12 Mediterraneo Europa aired on TV2000 and performed artistically different cultural and music shows in live concerts, recitals, theatrical and dance perfomances, classical, contemporary and jazz festivals, cinematographic festivals and visual arts, in Italy and abroad (Africa, Europe, South America, Canada, Mexico and USA). Marco Lo Russo, had the honor to transcribe and perform in world premiere in accordion solo, the compositions for guitar by Leo Brouwer, during the IVth and VIth International Festival of Chamber Music, Havana, Cuba (2012 and 2014). He composed the soundtrack for short films, documentary and films including Cityzen by Ruggero Gabbai (2014) and Il Popolo di Re Heruka (2015) by Rodolfo Martinelli Carresi with Isabel Russinova and with the same Marco Lo Russo as a special stage actor. He made musical compositions and sound design for short films, documentaries, theatrical performances, fashion shows and soap opera (Centovetrine, E’Arrivata la felicità, Una Grande Famiglia, Lady detective, Viaggio Sfacciatamente unico only to name a few). 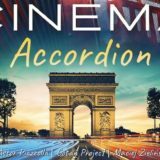 In addition, he recorded, as an accordion soloist, in several movie soundtracks, among which we can mention the films Matilde (2005) by Luca Manfredi with Sabrina Ferilli and Giorgio Panariello and Si può fare (2008) by Giulio Manfredonia with Claudio Bisio. In his career he received numerous awards and honors: Award Federico II of Swabia 1997, Honorable Mention at of the best italian graduates 2001, Honorable Mention TIM 2004 International music trophy, Award ETI 2005 with Nicola Piovani and Alfredo Arias, Awards SONORA 2007 music for cinema, Award OPERA IMAIE 2009, Nomination Orpheus Award 2009, 2010, 2011, Prize Immagine Latina 2011, Special Cultural Award Albatros 2012, Orpheus Award 2016, Nomination at JPF Award 2017 from USA and Nomination Orpheus Award 2018. Marco Lo Russo recorded, collaborated, published, produced and or co-produced for Animando, DNA, GBMUSIC, Flipper, Itacalibrei, Molto Recordings, Nelson Records, Polskie Nagrania, RAI, Rhino, RTI, Smoothnotes, Universal Music, Velut Luna, X Energy, Warner Chappell Music and many others. Look the Discography by Marco Lo Russo.